"A recent claim by the NASA scientists can prove the dream of life beyond Earth and the imagination of having aliens true. 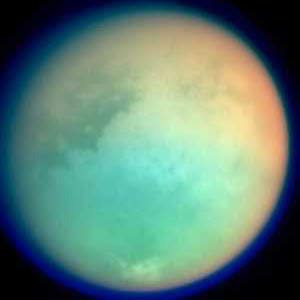 Researchers at the space agency said that they have discovered some very vital hints, which indicate that primitive aliens could be living on Titan. This was concluded after the data from NASA's Cassini investigation examined the complex chemistry on the surface of Titan. The research was headed by Chris McKay, an Astrobiologist at NASA Ames Research Centre, at Moffett Field, California. The scientists claim that life forms have been discovered on Titan and these life forms have been breathing on atmosphere and feeding on its surface. The surface of moon usually does not support life, not even the liquid water, because of its cold temperature. Entire research has been presented in detail, in two different studies. First part of the research has been cited in the journal Icarus. It demonstrated the breathing of alien forms as the hydrogen gas flowing throughout the planets atmosphere has scattered and rather disappeared. The second part, published in the Journal of Geophysical Research, stated that the chemical in the surface was lesser. It was then concluded that probably, it had been consumed by life." More information..
"By the way, Jupiter next conjuncts Uranus around June 7, 2010 (last conjunction Jan 4, 2011). You can expect an exciting discovery or event around that time. I'm betting on scientists, at their best, finding proof of the existence of life elsewhere in the galaxy.. "